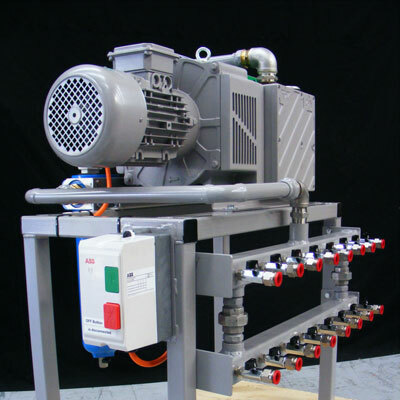 LAF Technologies offers an extensive range of off the shelf and custom built vacuum pumps and systems to cater for a wide variety of industry applications. 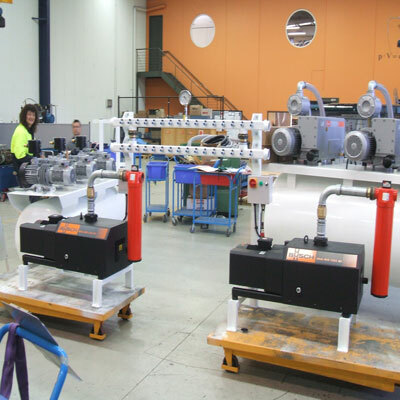 From simple pumps to large scale pump & manifold systems, LAF Technologies has decades of specialist experience in delivering proven and reliable solutions. 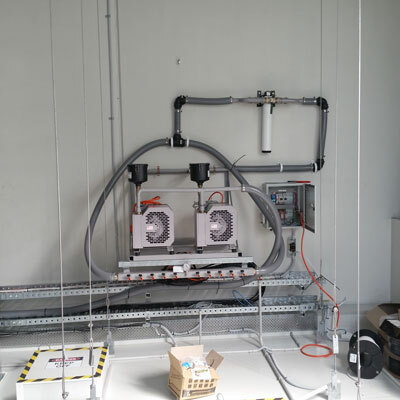 Another area of expertise LAF Technologies is well renowned for is in the specialized design and construction of highly reliable and professional vacuum systems for continuous particle and environmental monitoring. Selecting the right system components and building systems of this nature requires specialized skills along with a proper and thorough understanding as to how systems of this nature operate. 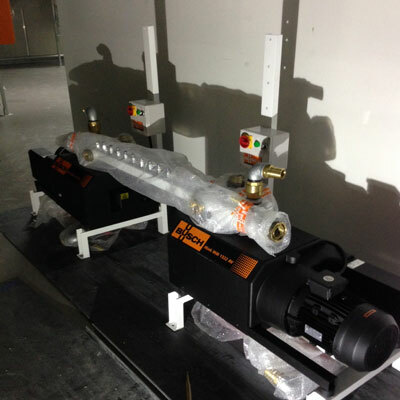 While there are many suppliers of vacuum pumps in the market place and some companies are tempted to buy and use any pump that appears to fit the bill, most pumps are totally unsuitable for continuous particle monitoring. Selecting the wrong components and or getting the simplest thing wrong can result in any number of problems that can seriously impact on any monitoring program you have in place. Any organizations considering installing a vacuum system for continuous particle monitoring should definitely give LAF Technologies a call. We can ensure you receive a proven and reliable solution taking into account redundancy, flow monitoring, proper filtration and many other key factors. 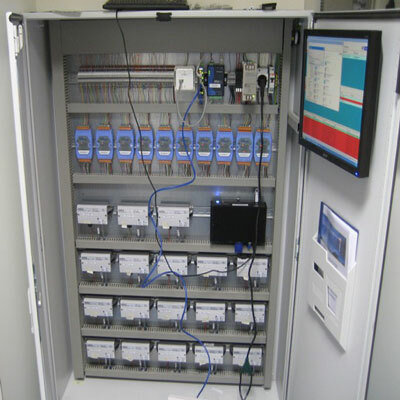 Data control cabinets play a critical role in professional environmental monitoring systems. 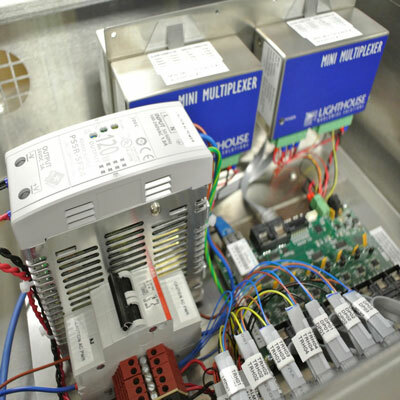 Facilities installing temperature, humidity, differential pressure, particle monitoring and or other environmental sensors may often wonder, where do all these sensors lead back to. This is where data control cabinets come into play. The data control cabinet acts like a central junction which all these sensors lead back to. The same cabinet may also be linked to audible / visual displays, touch screen computers and many other sensors within a facility. 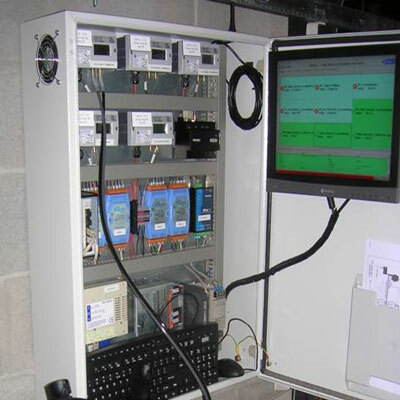 The control cabinet is also connected to and controlled by a central server or PC operating specialized facility monitoring software. Data control cabinets represent a smart and efficient way in centralizing data collection. 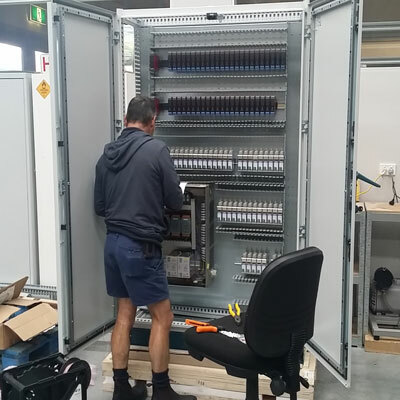 They make wiring and configuring systems quicker and easier, they make fault finding and diagnosing problems quicker and easier. Unlike some companies that offer “black box” or proprietary methods in collecting and or centralizing data, LAF Technologies custom builds professional data control cabinets using industry standard components that do not lock our customers into any manufacturers products.